Laparoscopic surgery, also called minimally invasive surgery, or keyhole surgery, is a modern surgical technique with which operations in the abdomen are performed through small incisions as opposed to the larger incisions of open surgery. Gallstones are also known as calculi. It is in the concentrated bile of the gallbladder that they precipitate out and grow. If one becomes wedged in the gallbladder outlet, problems can occur. A hernia occurs when a part of the abdominal contents, contained in its lining (the sac), pushes through a defect in the muscle wall, much in the way an inner tube pushes through a split in the tyre casing. In recent years there has been interest in performing laparoscopic procedures through a single incision, rather than the multiple small incisions currently used for “conventional” laparoscopic surgery. Gastro-oesophageal reflux occurs when stomach acid spills back up into the oesophagus. It is the result of a faulty valve mechanism between the stomach and oesophagus. The lining of the oesophagus is different from the stomach lining and is not built to. Many other procedures lend themselves to the laparoscopic approach. In the specialty of General Surgery, hernias, gallstones and reflux are the most common conditions treated, but many bowel operations, including appendicectomy. There is a significant learning curve associated with laparoscopic inguinal hernia repair, particularly with the totally extraperitoneal (TEP) approach. To assist surgeons undertaking this operation, I have outlined what I see as important technical aspects of the operation, based on my experience of over 8000 TEP repairs. The 20 plus years spent developing and refining my laparoscopic surgical skill set means that I can offer interventions with minimal impact and reliable outcomes. I pride myself in being an approachable and responsible surgeon of integrity and excellence. Do I need a letter of referral from my GP to see Andrew? Most patients do have a letter of referral, but it is certainly not necessary. My GP already referred me to a specialist. Should I see him anyway? It is your choice as to who you see. What is important is that you feel comfortable about the surgeon who may be operating on you. Do I need to bring my xrays/ultrasound with me for the appointment? If you already have them, bring them along, but it is easy enough to obtain copies of the reports if needed. Do I need to have an ultrasound if I have a hernia? No. If the hernia is obvious, an ultrasound is not going to tell me anything more than what can be gained from examination. Occasionally an ultrasound is useful when there is no swelling, when an occult hernia is suspected of causing symptoms. Even then, it is of questionable value. 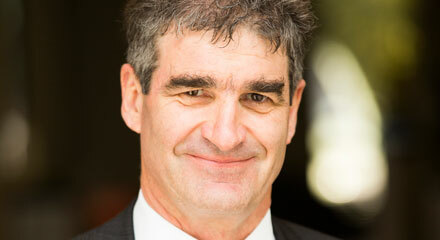 Andrew Bowker was involved in general surgical laparoscopy from the outset, when working as a consultant surgeon in Queensland. His early experience with cholecystectomy led to pioneering work with herniorrhaphy and anti-reflux surgery. He has accrued the largest hernia series in Australasia and has been responsible for training many of his New Zealand colleagues in this procedure. 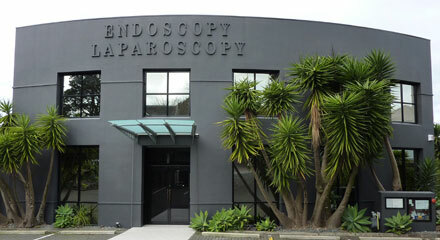 More recently, he has introduced single incision laparoscopic cholecystectomy to New Zealand. This provides some cosmetic advantages over the standard 4 incision technique. He is recognised internationally as an expert in his field, having presented his laparoscopic experience and demonstrated his surgical techniques in conference settings both at home and abroad. For consultation, bookings can be made through Andrew’s secretary Monday to Friday, 0830hrs to 1700hrs. Outside of these times a message can be left. The hospital is open continuously from either Monday at 0700hrs or Tuesday 0700hrs (alternating weeks) until Friday at 1700hrs. If patients are not ready for discharge by Friday afternoon, transfer to either Mercy or Ascot Hospital is arranged. This is very rarely required.